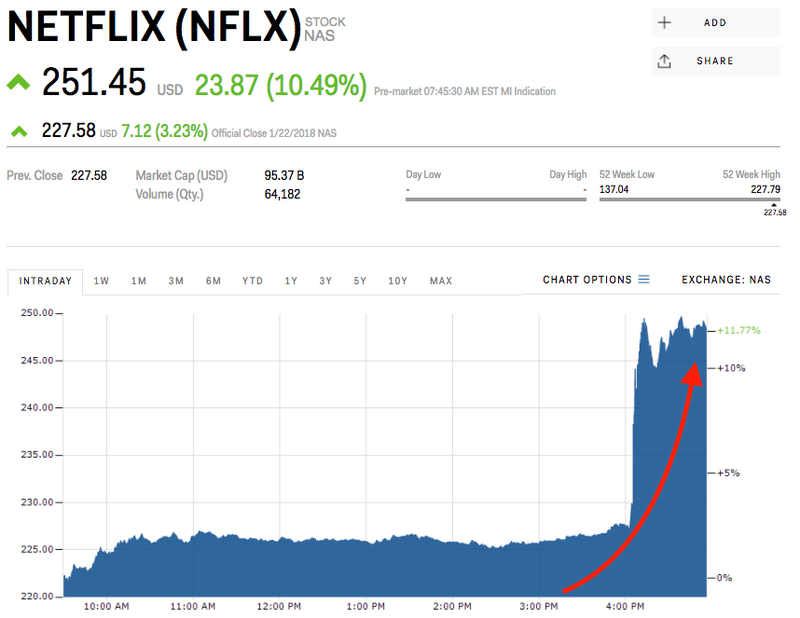 Netflix posted earnings that blew past Wall Street expectations, sending its stock skyrocketing. The company is continuing to invest heavily in new content, which in turn helps to keep driving subscriptions. Netflix once again blew past Wall Street’s expectations on Monday, posting subscriber growth that trumped analysts’ expectations. The streaming giant added a total of 8.34 million subscribers in the fourth quarter of 2017 — 2 million more than Wall Street was expecting, including a surprise increase in domestic consumers 34% higher than predicted.